The menu at Pink Pie is always on constant rotation, after all they’ve got hundreds of amazing recipes up their sleeves, but with spring comes new flavors we’ve yet to try. Make your way to the mini pie shop to check out the new Carrot Cake, Dulce de Leche Almond, Passion Fruit, Matcha (it’s vegan and gluten free) and Fruity Pebbles. Don’t worry the Key Lime, Oreo Nutella, S’mores, Salted Caramel, and Guava are still up for grabs. 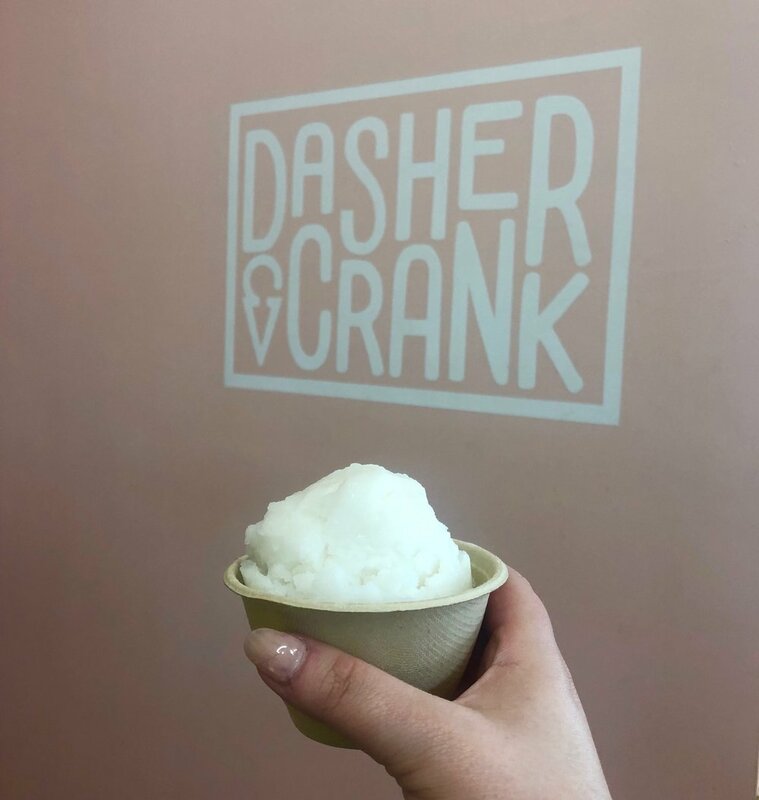 Another Wynwood favorite with plenty of flavors to try — this spring check out the Lychee Sorbet. It’s crisp and refreshing, just like the first days of spring. Chef Silva oversees M House’s desserts and this spring he’s got a some amazing additions, including his Chocolate Tree – a beautifully crafted sponge cake infused with Grand Marnier and Valrhona chocolate. You’ll find other desserts like the Passion Blue, a light and delicious blueberry mousse with passion fruit gelée topped with fresh sorbet, blueberry compote and fennel cookie crumble; as well as his take on a classic Tarte Tatin with grilled pineapple served with Greek yogurt ice cream. Make way to the Matador Room for its new spring delights. Seasonal desserts new to the menu include the refreshing Violet Pavlova with rhubarb and lychee, and Meyer Lemon Tart with mint meringue. Taiyaki Miami of 1-800-Lucky and Dwayne Wade Sr.'s foundation Pro Pops. Their mission is to empower fathers to be pillars within their children’s lives and bring fathers back to the forefront of the family. They accomplish this by 'Men Mentoring Men' who then mentor the youth. Starting this Friday, April 5th Taiyaki will serve a special edition ice cream combination called, Miami Vice. It will feature a pink ice cream cone filled with a vanilla and cotton candy swirl. The color scheme is to resemble the Miami Vice coloring, which is popular here in Miami and the current colors of the Miami Heat as well. The ice cream special will be available until Father's Day. $1 of each cone will be donated to Pro Pops.